The Best Turkish Food blogs from thousands of top Turkish Food blogs in our index using search and social metrics. Data will be refreshed once a week. Also check out Turkish Food Youtube Channels. Turkish Food newsletter is a comprehensive summary of the day's most important blog posts and news articles from the best Turkish Food websites on the web, and delivered to your email inbox each morning. To subscribe, simply provide us with your email address. Istanbul About Blog Claudia Turgut follows the seasons through authentic Turkish recipes, Turkish food, Turkish cuisine. Facebook fans 3,038. Twitter followers 287. Fethiye About Blog Enjoy the best cuisine and places to eat in and around Fethiye and beyond in Turkey. Facebook fans 5,718. Twitter followers 642. Istanbul About Blog On this blog, I’ll share my culinary adventures and I hope you enjoy my stories and recipes. Facebook fans 360. Twitter followers 12. Turkey About Blog Follow Turkish Recipe channel for the most beautiful Turkish food. Facebook fans 1,311. Twitter followers 11. Turkey About Blog Follow TASTE STYLE - Turkish Food for traditional Turkish food, Oriental food recipe and more. Fethiye, Turkey About Blog Turkey's For Life is all about things to do in Fethiye, travel in Turkey and Turkish food & recipes. Facebook fans 21,582. Twitter followers 8,297. Surrey, England About Blog Ozlem love Turkish food and would love to share her homeland’s healthy, delicious, easy Turkish recipes with the home cooks and foodies. Facebook fans 9,575. Twitter followers 1,143. USA About Blog Learn how to cook healthy, nutritious, delicious, traditional and authentic Turkish food (desserts, kebabs, pilafs, soups, pastries, appetizers, specialties...) from my simple and easy-to-cook Turkish Cuisine recipes. Facebook fans 388. Twitter followers 14. Palo Alto, CA About Blog On this site you will find almost and authenticTurkish recipes, as well as those that were inspired by Turkish cuisine. All recipes on Almost Turkish Recipes are prepared, cooked, tasted, and photographed by Burcu. About Blog A journey through, taste, land, customs, and history by means of the Turkish kitchen Via Ottoman, Nomadic, Seljuks, Alevi, Kurdish and modern day recipes, homegrown and influenced by immigration and travels. I invite you to join me as I try to delve into the Turkey's many foodie delights whilst trying to fathom the many ingredients and produce available here. Facebook fans 305. Twitter followers n/a. Istanbul About Blog On this blog Vidar share stories and recipes from my life and kitchen in Istanbul, focusing on authentic flavours and simple methods. Facebook fans 281. Twitter followers 125. Bilecik, Türkiye About Blog Tuzekmek features traditional Turkish cuisine with new flavors. Facebook fans 2,589. Twitter followers 141. Australia About Blog Everything Turkish is Australia’s most widely used Turkish culture & lifestyle news site. It contains news and articles on social life, culture, language, history, music, cinema, travel lifestyle and Turkish cuisine. Facebook fans 248. Twitter followers 18. New York, USA About Blog Turkish Life News is a turkey news site featuring Turkish food, restaurants, news, food sector, everthing about Turkish cuisine. Facebook fans 3,080. Twitter followers 193. Facebook fans 1,317. Twitter followers 534. Facebook fans 18,184. Twitter followers 478. 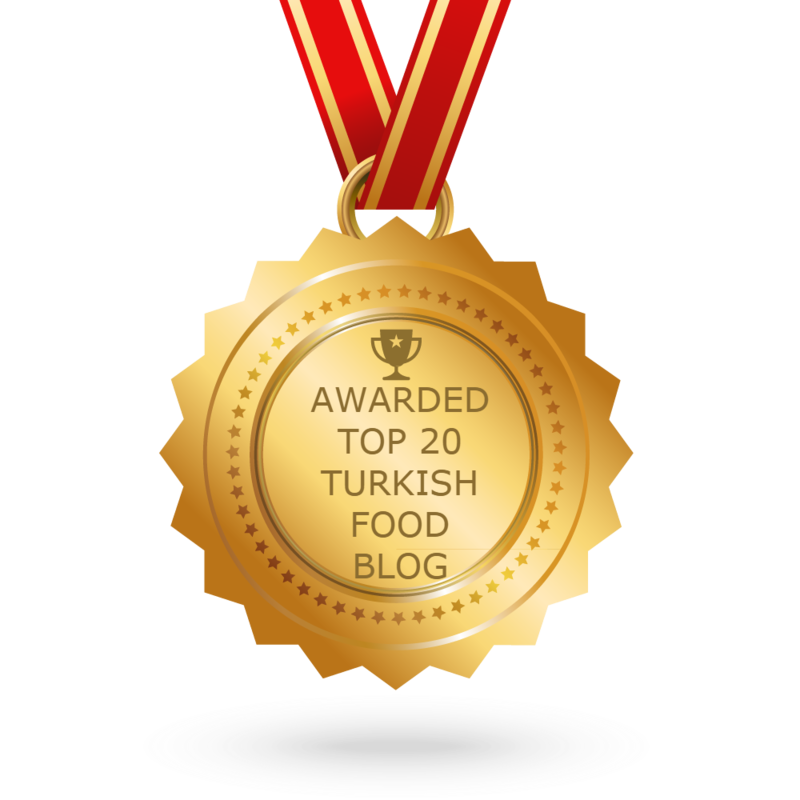 CONGRATULATIONS to every blogger that has made this Top Turkish Food Blogs list! This is the most comprehensive list of best Turkish Food blogs on the internet and I’m honoured to have you as part of this! I personally give you a high-five and want to thank you for your contribution to this world.